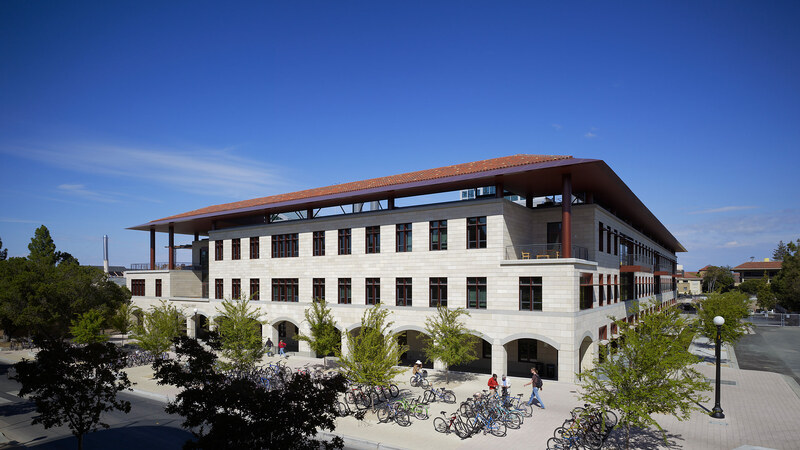 The 166,550 square foot Yang and Yamazaki Environment and Energy Building (Y2E2) is the first of four new interdisciplinary buildings to be constructed around Stanford’s new Science and Engineering Quad. Imagined as a nexus for faculty, researchers and students exploring solutions to some of the most vexing environmental issues of our time, the building is designed around non-departmental centric focal areas that combine expertise in engineering, the sciences, the humanities and policy. This programmatic concept drove the design of Y2E2, which is organized around a series of four atria that connect all four levels of the building. 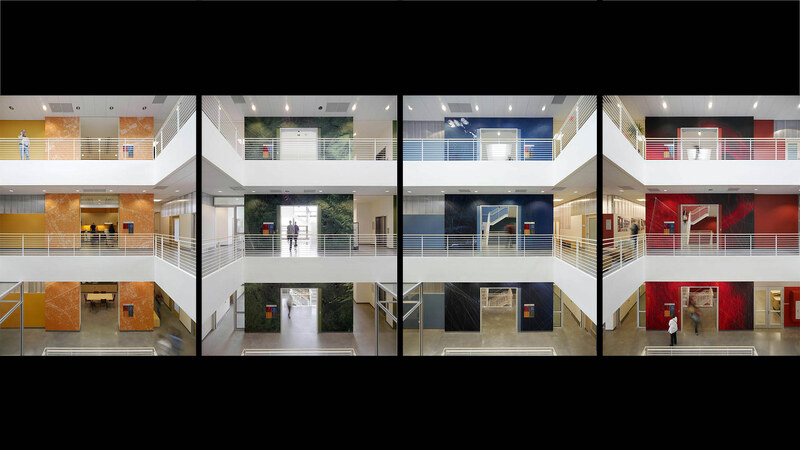 Each atrium is surrounded by shared and collaborative program elements with high levels of transparency to create hot-spots of multidisciplinary interaction horizontally and vertically within the building. 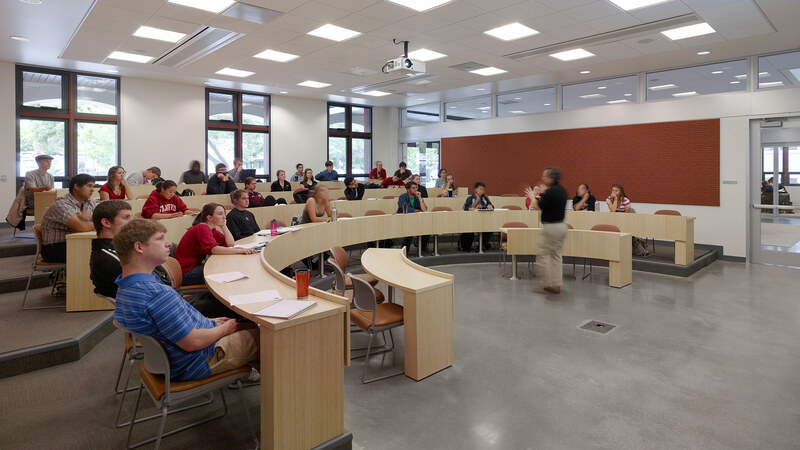 The resulting building facilitates a new organizational paradigm on campus that supports innovative methodologies and allows individuals to work collaboratively and more effectively across disciplines. Y2E2’s atria also give physical form to the building’s sustainable mission and act as vectors for daylight and natural ventilation. 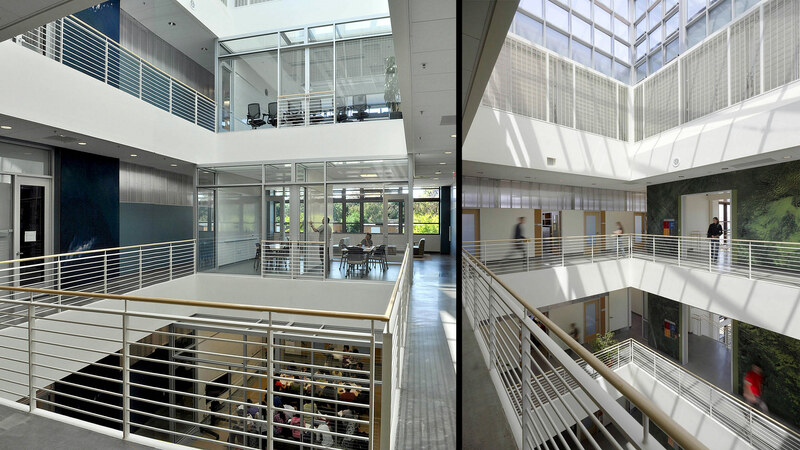 The building’s high performance envelope makes extensive use of daylight harvesting while also controlling solar loads. The building employs a number of high performance systems that include radiate floors (public lobby), active chilled beams (throughout), ceiling fans, operable windows, building-controlled night flushing and exposed concrete mass (slabs), multiple PV arrays and an innovative recycled water system that uses blow-down water from the chillers of the neighboring central energy facility for non-potable uses in the building and the landscape. Certified LEED Platinum EB, data shows that Y2E2 uses 47% less energy than California Title-24 and 90% less potable water for its non-lab uses. 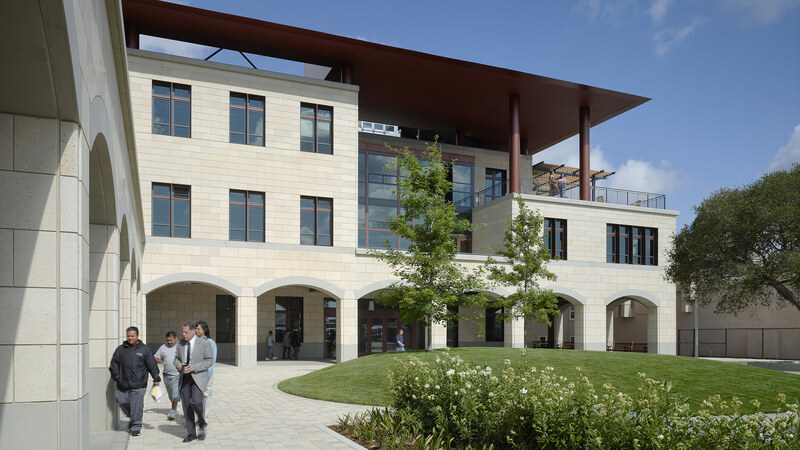 The building’s return on investment for its high performance design was just 3 years. 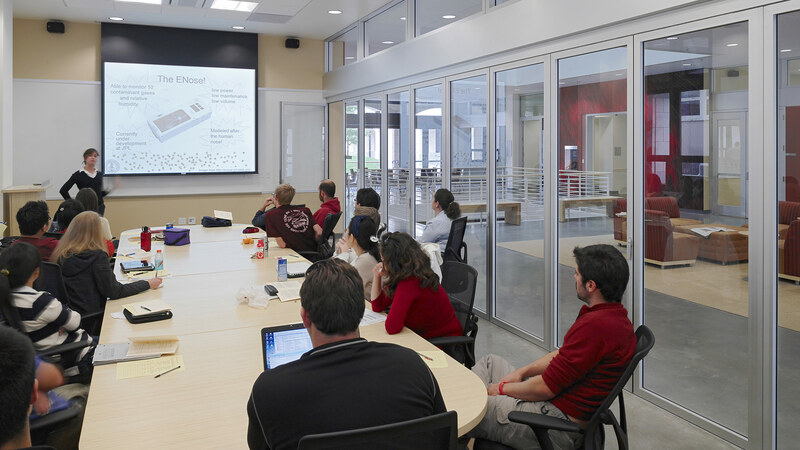 In 2008, Y2E2 received a Citation Award from the American Institute of Architects Santa Clara Chapter. 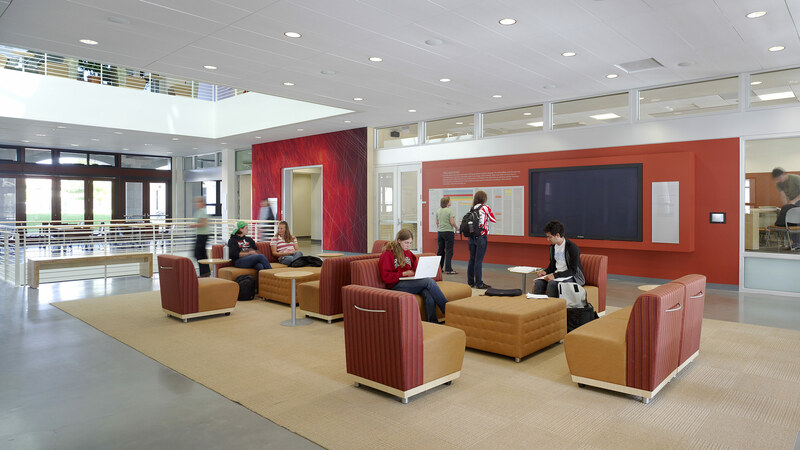 In 2010 the building was awarded a National ASHRAE Technology Award for Institutional Building. 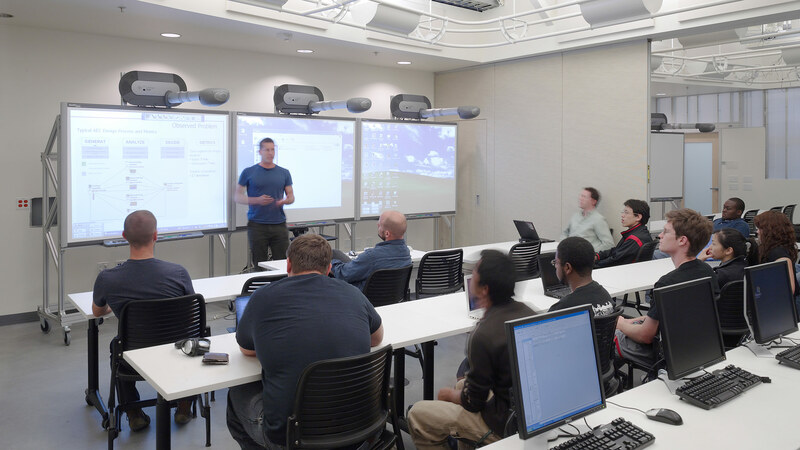 Isaac Campbell of OFFICE 52 programmed and designed Y2E2 while a Principal at Boora Architects.